Milan is a beautiful city with a wealth of historical and artistic monuments which bear witness to its centuries-old story as an economic and cultural power in widely varying geopolitical realities. The route that we propose is very interesting and winds its way around the principal Milanese monuments. 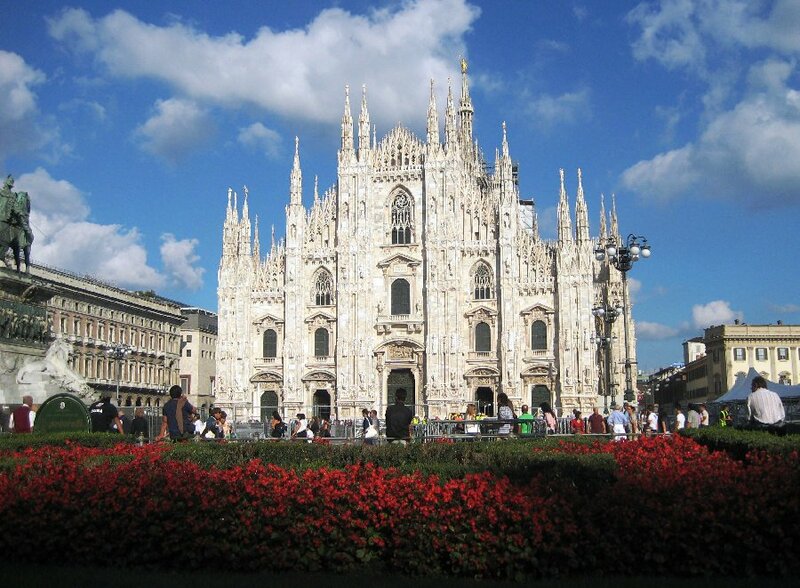 We believe it will give you the key to discovering the charm of Milan’s “must-see” sights. Our journey starts in the square containing the city’s symbol the Cathedral, il Duomo, the jewel created through six centuries work at interpreting the Gothic style. It is an imposing marble building with more than 3500 statues adorning its imposing presence. Our itinerary continues with the Galleria Vittorio Emanuele II, an elegant covered walkway in the center of Milan that connects Piazza del Duomo and Piazza della Scala. In the typical architectural style of Milan in the mid-1800s, the gallery boasts prestigious shops, famous restaurants and cafés. Continuing on our discovery tour of Milan, you must not forget the Teatro alla Scala, the most famous opera house in Italy. Also known as the temple of opera, it is located in one of the city’s most elegant squares, and offers visitors an interesting museum where there are several exceptional collections of paintings, costumes and truly unique objects. Another monument very dear to Milanese is the Sforzesco Castle, a masterpiece of the 1300s, holding within its walls generation’s worth of history and mystery – the centrepiece of adventure and dark drama. Over time, the wonderful castle has taken on the aspect of a culture centre, in fact, the complex houses several museums and preserves masterpieces by artists such as Bramantino, Michelangelo and Canaletto. Milan is rich in ancient churches, among which we include the Basilica of Sant`Ambrogio, one of the oldest churches in the city and considered the finest example of Romanesque architecture in Lombardy. Finally, we suggest you visit the Church of Santa Maria delle Grazie, classified as a UNESCO World Heritage Site, along with the wonderful world renowned fresco located in the refectory: The Last Supper by Leonardo da Vinci. (Reservations strongly recommended).